Operating system: Microsoft Windows, XP, 7, 8, 8.1, 10 (Microsoft .NET Framework 4 and up). Microsoft Office versions: 2007, 2010, 2013, 2016 (both 32bit and 64bit Office versions). Please uninstall any previous version before installing the new version! 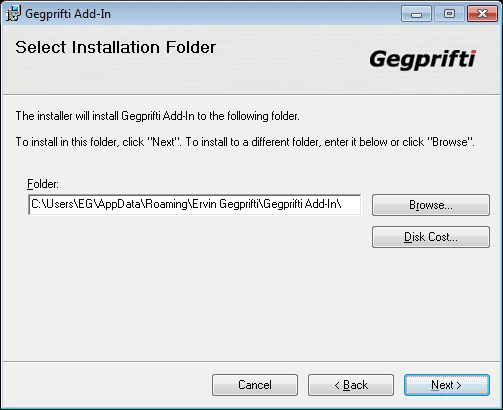 Click here to download and save the Gegprifti Add-In for Excel setup files. 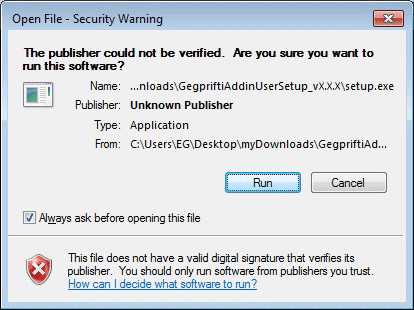 Open the folder where the GegpriftiAddinUserSetup_vX.X.X.zip file was saved and extract it. Use your preferred program to unzip it. 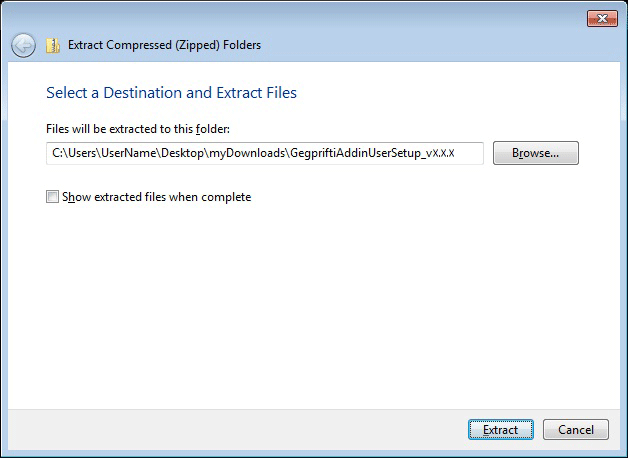 Specify the folder to extract the setup files to and click "Extract". 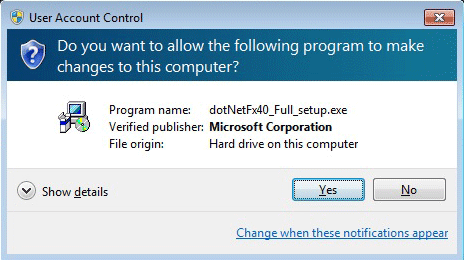 Click "Yes" in the "Security Warning" dialog box. 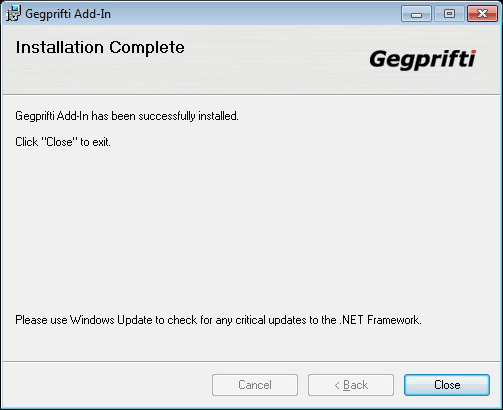 If the prerequisite Microsoft .NET Framework 4 is not installed, the setup process will guide you through the installation process and then will continue with the Add-In installation. Click "Accept" to continue. 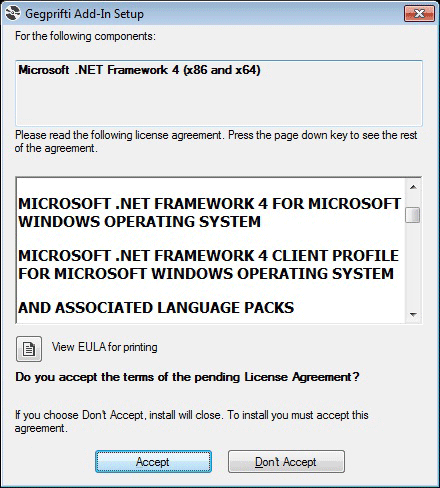 Wait a moment to install Microsoft .NET Framework 4. 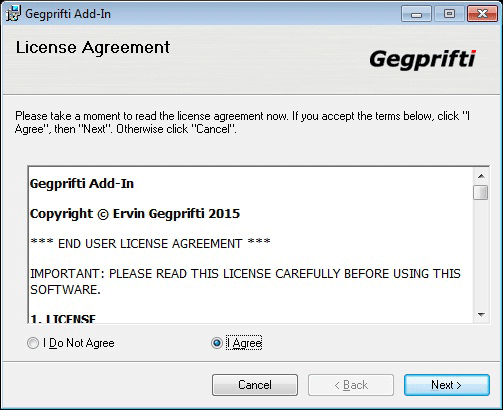 Read the license agreement of the Gegprifti Add-In for Excel, check "I Agree" and then click "Next >"
Specify the folder where you want the Add-In files to be installed, otherwise (recommended) click "Next". 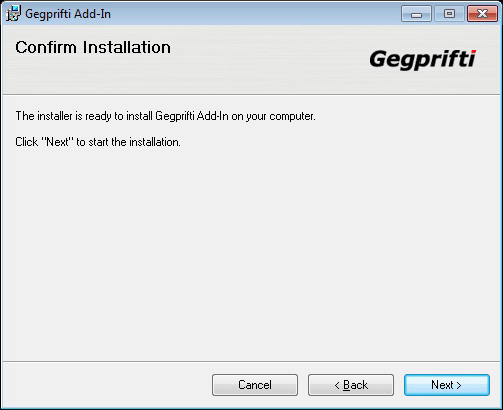 Review the installation steps and then click "Next". Wait a moment for the installation process to finish. After the installation process is finished click "Close". 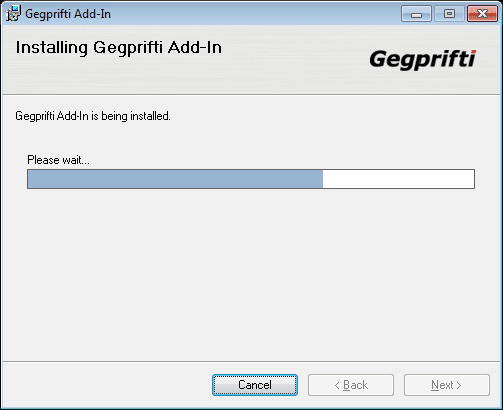 Open Excel and make sure the "GEGPRIFTI" tab is showing in the Excel ribbon. 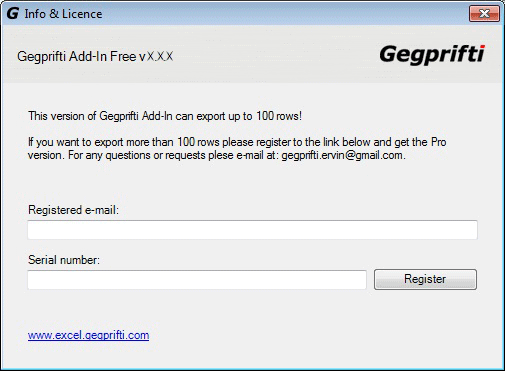 This Add-In if free to use as far as the result is under 100 rows. If there are more than 100 result rows then you need to buy a license. Click here to purchase a license. After a successful purchase an e-mail is send to the PayPal registered e-mail with licensing instructions. Write the registered e-mail to "Registered e-mail", write the serial number you got in the email to "Serial number" field and then click "Register".